Marriages are in trouble, and this is the tool you need to rescue them. 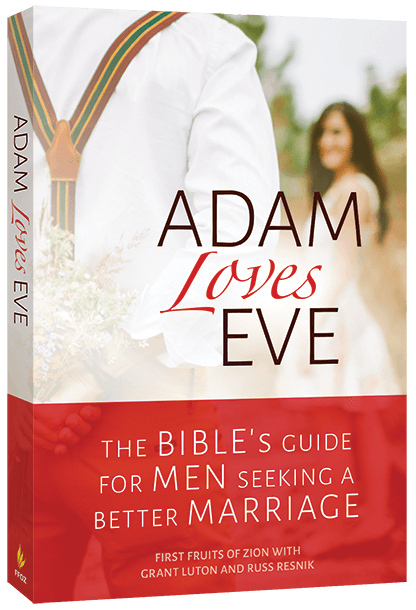 Unlike the relationship advice offered in most marriage books, Adam Loves Eve cuts through the nonsense with practical hard-hitting teachings from the Bible. Get a copy of this book for every Bible-believing married man you know. Your brothers in Christ will thank you. Yes, there is still hope for your marriage! An essential book for every Christ-following man who wants a better marriage. Most marriages are not happy marriages. Christian marriages are not exceptions to the rule. About half of all marriages end in divorce. A fair number of the other half are barely holding it together. It doesn’t need to be that way. The Bible’s instructions are the secret to a successful marriage and a happy wife. Adam Loves Eve goes straight for the medicine by bringing the Bible’s kingdom message into the marriage. 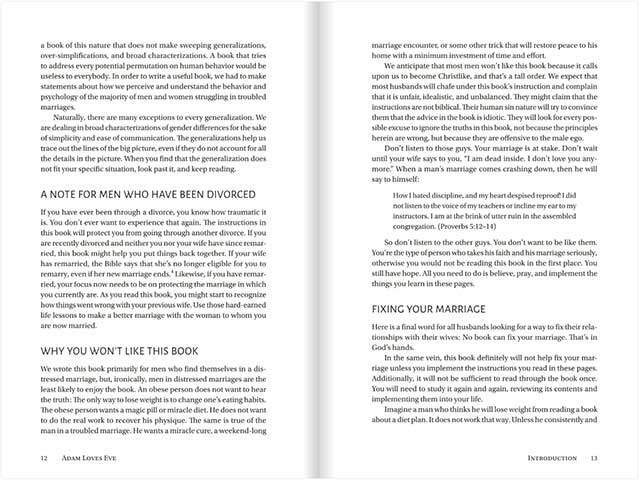 This book, for men-only, will not only change marriages, it will change lives. Do your friends a favor and rescue their marriages by getting them a copy of Adam Loves Eve before it’s too late. They will thank you. Post your reviews and recommendations for the book on social media. Book Preview: Read the full Introduction and Chapter One online and share the preview through social media. Bulk and Congregational Discount Available. Just order 5 or more of this title, and get 40% off!